Preparations for the inaugural McDonald’s 12 Joyful Nights of Christmas this year are well and truly underway. On Tuesday night, Pacific Kingz Communications, Media, Productions and Events (P.K.C.M.P.E.) presented $10,000 to the E.F.K.S TV2 for the screening of the event to be held at Taumeasina Island Resort. P.K.C.M.P.E. Events Coordinator, Mindy Fa’aeafaleupolu, says the event is an opportunity for youths in Samoa to showcase their talents and it is also a stepping stone for them to shine and expose their talent. The same sentiment was echoed by the Patron of P.K.C.M.P.E., Aigasagauifaleai Fa’ava Puletua Samuelu R.Olo, the wife of the late Rev. Elder Reupena Samuelu Olo (faletua o le toeaina malolo); who was the resident church minister of C.C.C.S. Moata’a from 1980-2001. Mrs. Samuelu Olo encouraged the youth to come forward and use this golden opportunity to praise God and to remember His gift of salvation through Jesus Christ His son. In handing over of the cheque, Mrs. Samuelu Olo says she is confident the money will be well spent on E.F.K.S. TV2 preparations in conjunction with P.K.C.M.P.E. in broadcasting live the prestigious event. E.F.K.S. 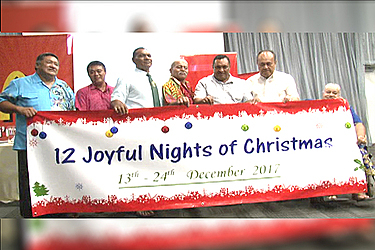 TV2 General Manager, Sua Henry Fruean, acknowledged the generous donation saying he was very thankful to the Pacific Kingz C.M.P.E., because not only had they donated the money, but they had also looked for a sponsor to assist TV. He thanked the Pacific Kingz and promised that TV2 will work together with Pacific Kingz C.M.P.E. to make sure the programme is successful. Recently, Tautolo A.C.Tautolo, President of McDonald’s Samoa, had donated $30,000 to Pacific Kingz C.M.P.E, as the Naming Rights Sponsor of the event. The donation was presented to the Director, Hemi Aiono Pulumelo K. Faaeafaleupolu. Tautolo also remains firm on his resolve that despite our different political circumstances, the two Samoas are one. Although born in American Samoa, Tautolo’s mother, Talaleu Leaitu-Tautolo, is Samoan born. 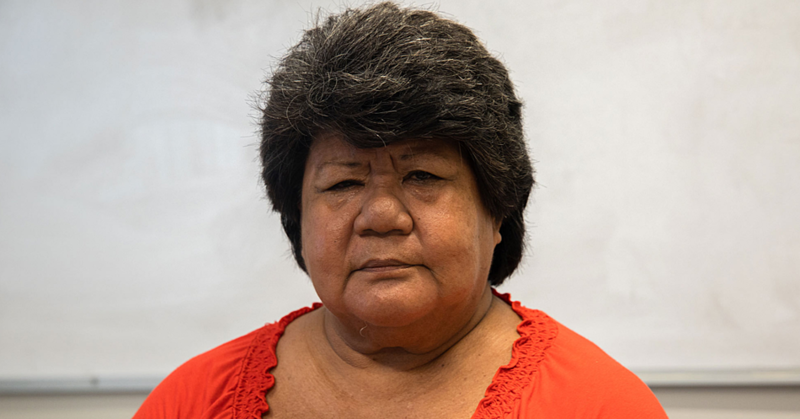 She hails from the Aiono family in Fasito’o-uta and the Tofa family in Saipipi, Savai’i.